Sally Carroll, who owned and managed Sally’s Sandwich Shop at 614 S. Kihekah Ave. for 65 years, died last week at the age of 100. Over the years, I’ve spent many hours talking to Sally Carroll about her amazing life, these conversations are the basis for this tribute. Born in 1916, she moved to Pawhuska in 1918. Her mother Luz Elias told her father Felipe Elias that because the Osage had the same skin color as them, they’d be more accepted. Her father, who had a good job doing construction for Williams Brothers out of Tulsa, agreed. 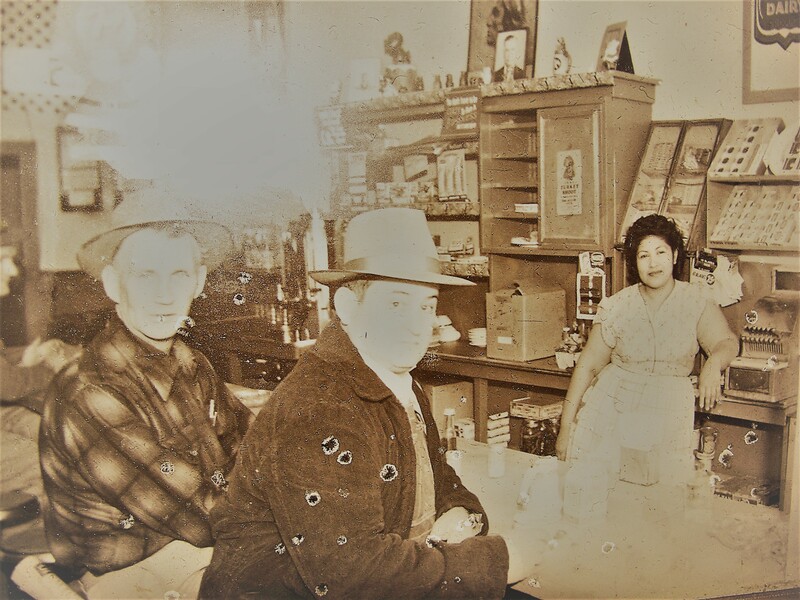 Her parents settled in Pawhuska with their ten children and rented a home on the east side of town. They brought their wood stove with them and slept on mats on the floor Sally said. She went to public school for a year. When she was seven, the Catholic Priest visited and suggested that Sally and her sister attend the Catholic School. At the time six nuns lived there and taught at the school. “They were very nice. The nuns taught three grades in one room. We went to church at 7 a.m. and school at 8 a.m.,” Sally said. 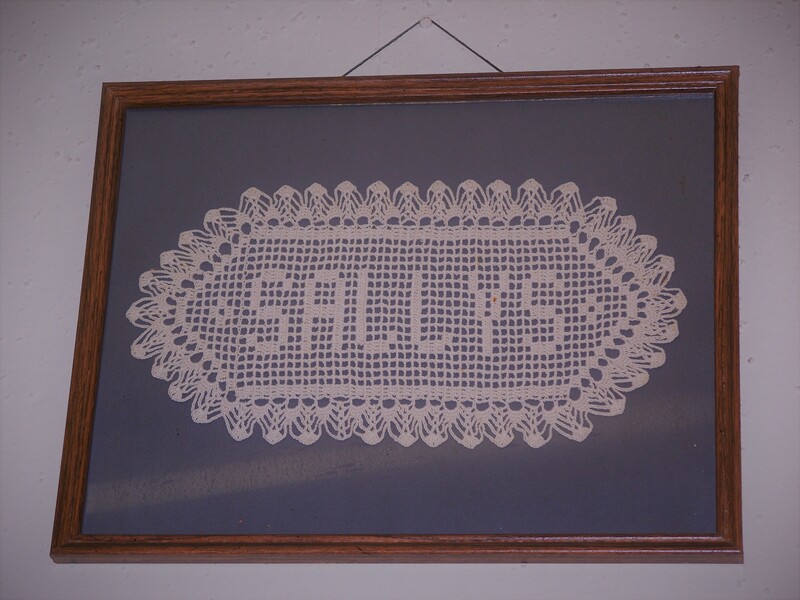 The arrangement was that Sally would work in the kitchen preparing meals for the nuns to pay her school tuition. 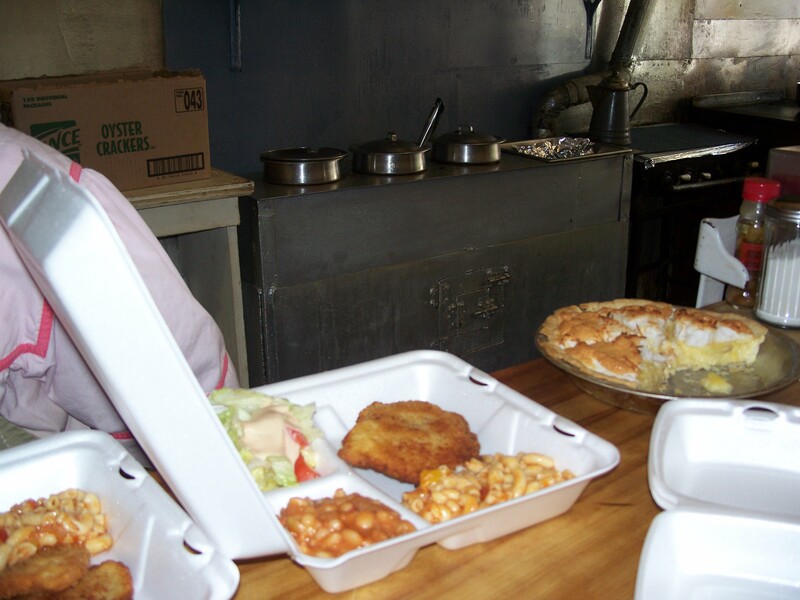 There was no school lunch program, so her cooking was for the nuns, she explained. One of her sisters cleaned rooms for the nuns. She learned to tell time working in the church kitchen. “There was a clock I looked at, and I knew when to put the pies in the oven,” Sally said. Mrs. Lazo married and her husband decided they would sell watermelon. Sally was put in charge. She had to keep track of the slices and the money and she liked the responsibility. However, Sally’s mother did not like the arrangement because the watermelon was sold outside at night. One day when the cook didn’t show up, Sally jumped at the opportunity to fill in for him. 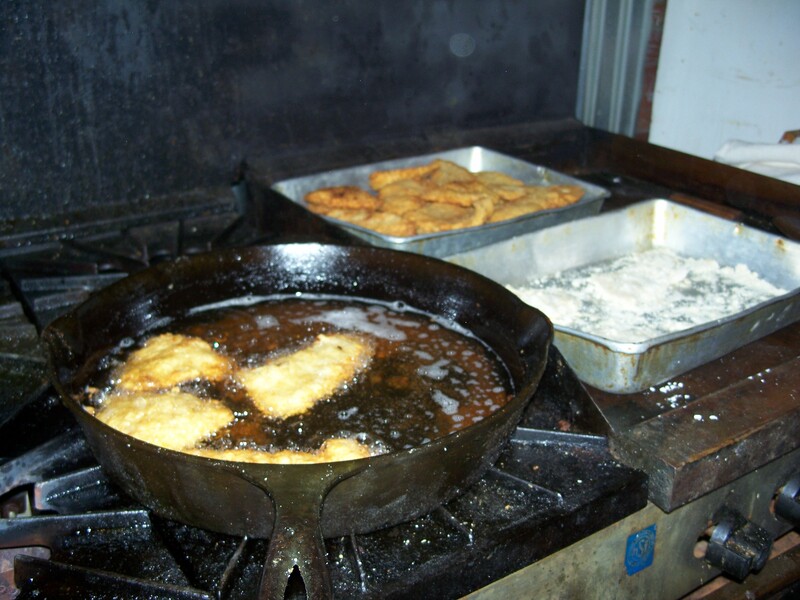 “That’s when I knew what I wanted to do – I wanted to cook! I made the bacon, the eggs, the T-bones. I love doin’ this…. It’s just like breathin’,” she said with a smile. Sal ly made $5 per week. Her mother gave her $2 back, which she used to buy clothing with money to spare. When Sally graduated from the eighth grade, she had to decide whether to go on to high school or begin working to help her family. “My family didn’t have a lot, so I decided to go to work,” Sally said. 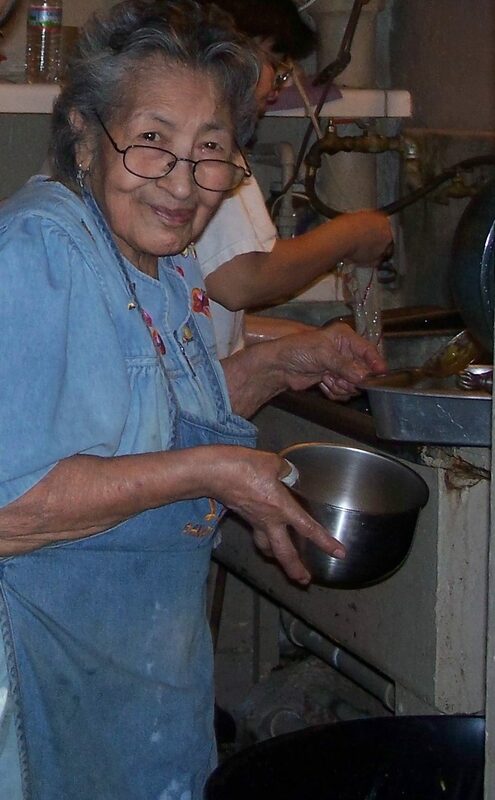 She worked full time for Lazo’s, which was known as a chili parlor, making $18 per week. In 1943 George James asked her to come and work for him for $2 more a week at The Post Office Sandwich Shop. She didn’t say yes right away, but was eventually persuaded because at Lazo’s she was doing more and more without additional compensation, while Mr. Lazo sat in the back and Mrs. Lazo didn’t come in at all, she said. Sally was 27 at the time. 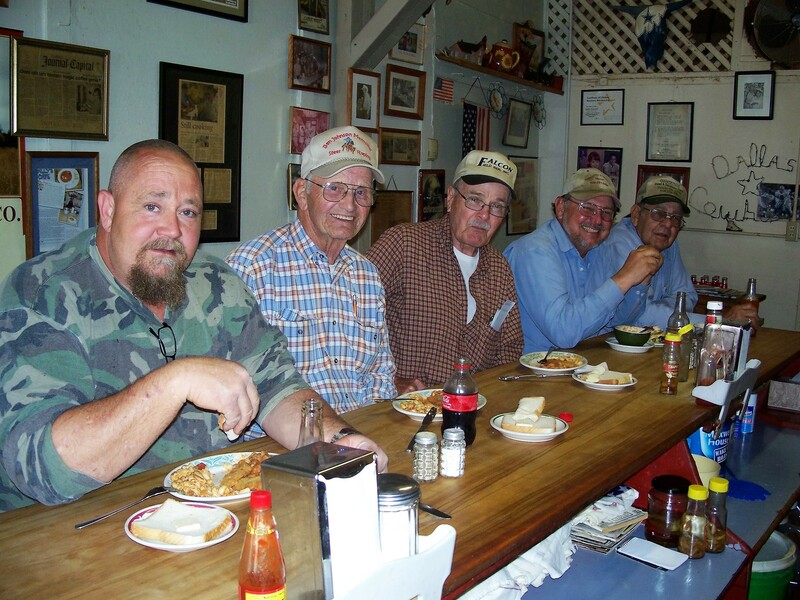 “At the time, there were businesses up and down the street. The Post Office Sandwich Shop was a beer joint more than anything,” she said. There were dances a few doors down at Whiting Dance Hall, which brought in live bands regularly. Many of the entertainers were African American. Due to segregation, Sally explained that a special section in the back of the shop was designated specially for the band members, who came to eat after their performances were over for the evening – glad for a place that welcomed them. After desegregation, the back room became a place where regulars who didn’t want to sit at the lunch counter would go for table seating. They had to go behind the counter and through the first small kitchen to get there, so only locals who were familiar would do so. The bigger kitchen was beyond this small dining room and had the larger stove, oven and shelves for food storage. At 30, Sally married and had her two children, Andrea and David. After ten years of marriage, things were not working and she divorced. Sally lived in a cottage behind her parents’ house on Twelfth Street, and she and her children had meals in the main house with the family, she said. When I went through my divorce, I’d visit her often after the lunch crowd had left and the café was empty. She’d be making pies for the next day and we’d talk. I always appreciated her wisdom. Mr. Sands and Sally made an arrangement that would change her life. Sands rented the building to Sally for a year starting in Feb. 1949 with the understanding that she see how much money she could save toward the purchase that year. In Jan. 1950, Sally had $5,000 in her bank account at Osage Federal Bank, and Sands agreed to sell it to her for that amount. The sales price included the building and contents at 614 Kihekah, the building just north of it and a garage behind it. 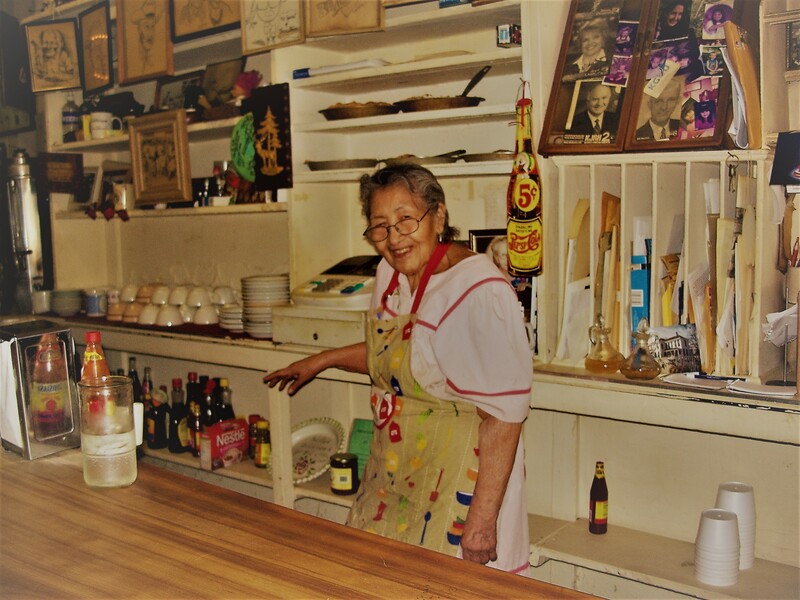 She changed the name to Sally’s Sandwich Shop, but always referred to it as “the café” and continued to sell beer until 1970, when a clothing store owner across the street, Mrs. Lennis Wright, suggested she stop selling alcohol. 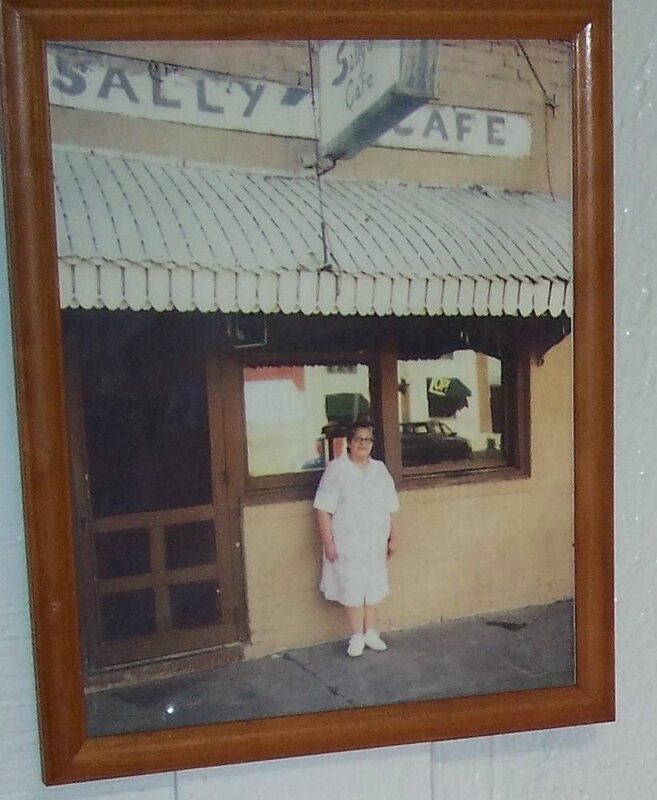 Based on this success, Sally expanded to weekdays, and decided to have a daily plate special with entrees such as: tamales, meatloaf, ribs and fish. In 2010, when I worked at the Pawhuska Journal-Capital, her specials were just $5.45 tax included and were offered Tuesday – Friday. Breakfast, burgers from the grill and chili were available every day. The chili idea happened one day when a customer wanted tamales before they were done. The customer was insistent, so Sally served them the tamale sauce with crackers, which became her own special chili. The things the café became known for continued to evolve over time. 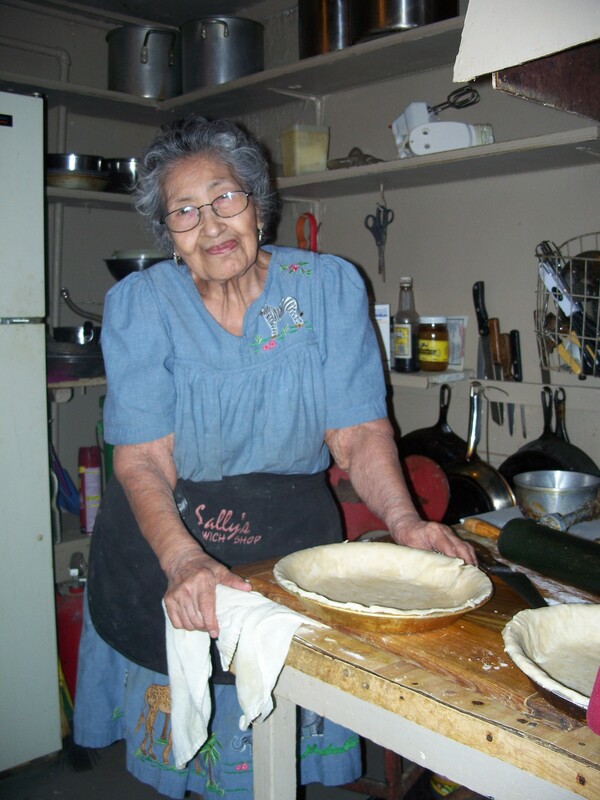 For example, the pies that Sally is so well known for, she only began making when her daughter was in high school. 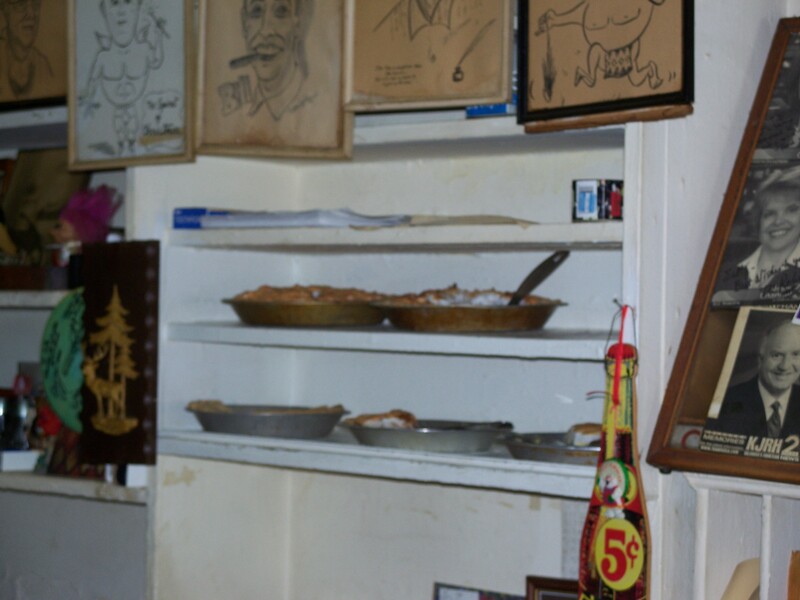 She regularly sold out of chocolate, banana, coconut meringue, apple, pecan, and cherry cream pies, which were on shelves behind the counter above the cash register. Sally’s was closed Sat., Sun. & Mon. However, the locals knew she was there on Saturdays preparing for the next week and they’d often ask her to fix them breakfast, which she graciously did. She confided to me that one customer would bring her an egg from his farm that he’d pull from his pocket and give to her cook and serve at no cost; he’d just buy a cup of coffee to go with it! She never complained – just found it amusing. The café had such a community feeling that local customers would get themselves a second cup of coffee from the ancient coffee urn behind the counter, or go behind the counter and get themselves a bottle of soda from the case where she kept glass bottles of Coke, IBC cream soda, Strawberry, Orange and Grape Crush. The vintage bottle cap remover was attached to the counter nearby. The pay phone on the café wall, eventually the only one left in Pawhuska, would ring with takeout orders. A pad and paper were nearby so that customers could answer, take the order and hand it to Sally. This inclusive, informal way of doing business, conveyed the warmth and acceptance that Sally always had for her customers. Over the years, she had a close relationship with the reporters at the Pawhuska Journal-Capital. 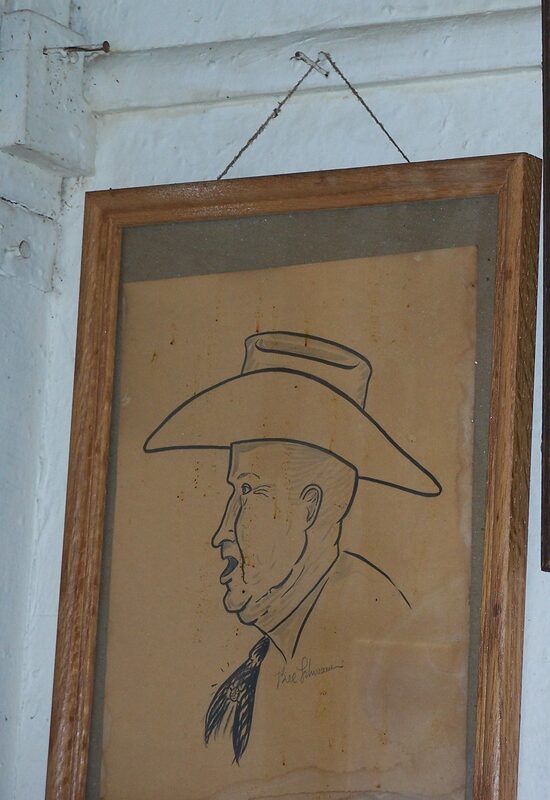 Illustrations by one of the more talented ones hung behind the counter – pencil-drawn caricatures of the reporters and more noteworthy customers – including the one who’d bring the egg from home. When I came into her café for the first time and introduced myself as the new reporter at the P-JC in 2010, she greeted me by saying, “Where you been! I’ve been waitin’ for you!” Naturally, we became instant friends. She thought of all the P-JC reporters that way. She sold the P-JC newspaper in the café as a show of her support. Sally’s was always the place to catch up on the latest local goings on, so it’s no coincidence that astute reporters gathered there. After she divorced, she went on for a time running her café and raising her children on her own. Then one day, she realized that her son didn’t know how to fish or hunt and she started feeling that David needed a father figure. She began to take more notice of Bill Carroll, who drove a taxi. He was retired from 13 years in the Army, and had a taxi service in Pawhuska. He lived at the Whiting Apartments across the street. Sally never learned to drive, so Bill Carroll began transporting her to and from the café, but he would never charge her. “He decided to marry me before I even knew he existed,” Sally said. She accepted his proposal and they moved into a house in Pawhuska where they raised Andrea and David. Bill became a regular part of the café. “People said he was gruff, couldn’t take a joke, but he was strictly Army. He was good to me and my family … We were talking about celebrating our 50th wedding anniversary when he died,” she said. She shared a dream she’d had of her late husband. Sally said she was in the café and Bill was on a ladder reaching down to her and he said, “come up here with me”. She tried to reach out to him but couldn’t grab his hand. “I still miss him,” she told me wistfully. After Bill’s death, Sally shifted her focus to her children and extended family. “I have a daughter and a son. They rule my life. I have time for breakfast on Sundays. 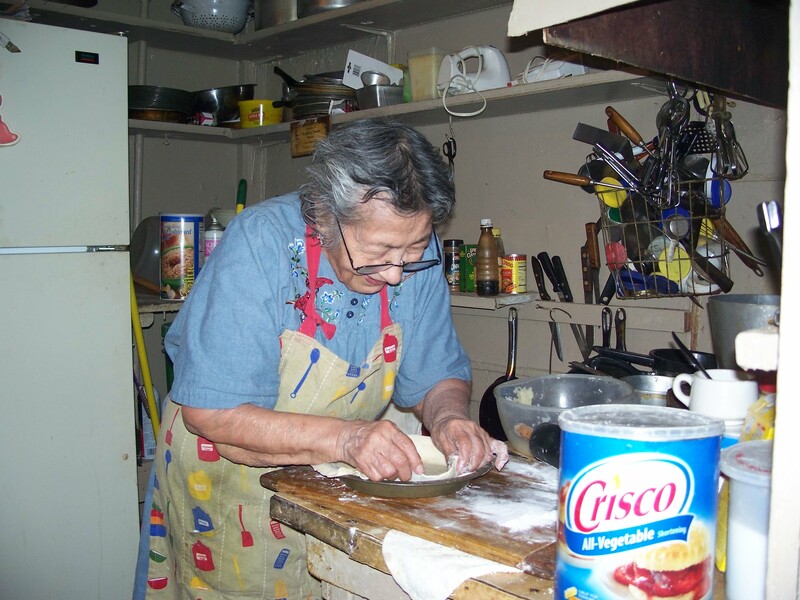 I try to cook something they both like.” This routine continued until she closed the café in August 2014 after a fall on her front cement steps at home. She recovered, but her family urged her to retire. “I didn’t even realize I was 98! I decided it was time,” she said. I had sometimes taken her home at the end of her work day, so I knew where she lived. After she closed the café, she said I could stop by for visits. 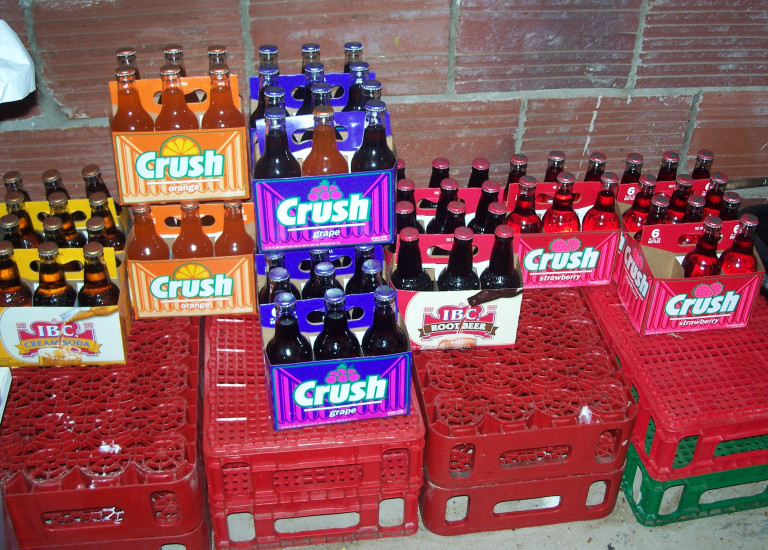 I would bring her flowers or six-packs of Coke classic, which was her favorite soda, and we would catch up. Reflecting on her life, she told me, “To me it’s been a good life. We started out poor. My folks were in a new country and a new town. But look, we all got a good education. I credit the Catholic school and church,” she said. Sally was pleased that Andrea and David had been college educated and had found successful careers. I don’t recall her answer, but she seemed to like the idea. “Well, when I get there, I’m gonna come lookin’ for you,” I said. 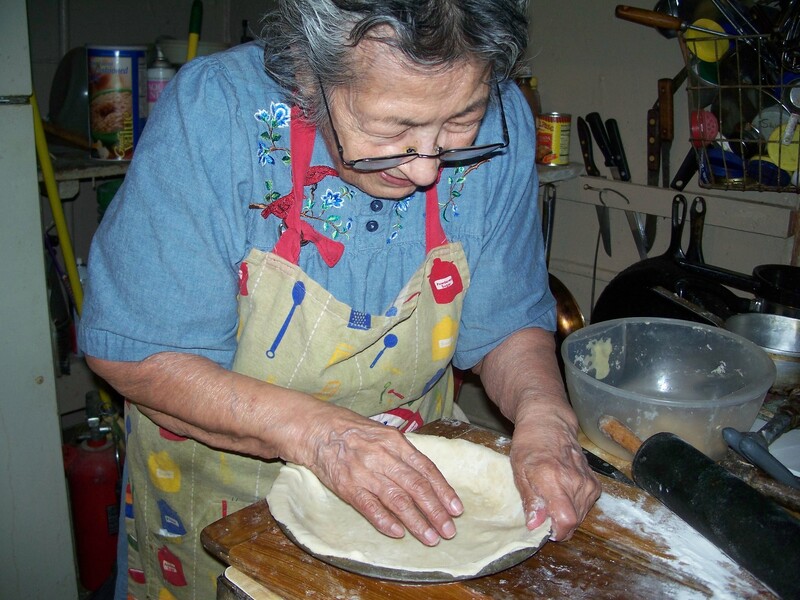 She smiled and continued rolling out dough for the next day’s pies. ← Christie’s Visits Woolaroc Museum – NY City meets the Osage Hills!